Sokobond is a minimalistic puzzle game combining chemistry with sokoban gameplay developed by Alan Hazelden and Harry Lee. It was released on Steam on 21 Jul 2014. The sigil was added in an update on 31 Jan 2015. Sigil appears whenever you solve a level with a solution involving a hydrogen molecule (on two levels that require you to make it and others). When this happens, it appears in the top-right corner of the screen. After the third time it will be accompanied by a count of such solutions you completed out of 12 total. Once the player completes 12 levels producing hydrogen, the piece is displayed in the corder instead of the sigil/counter. 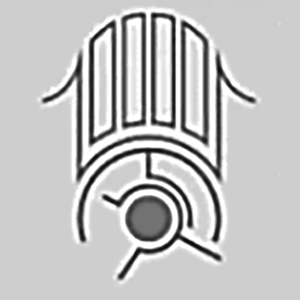 The sigil was discovered and the piece obtained by /u/AmitaiGaunt individually somewhere in August 2015, long before the ARG solving by GameDetectives was underway. We pretty much recieved both the sigil and the piece when he wrote in. Here is his album of all Hydrogen-involving solutions. This page was last edited on 24 August 2016, at 14:48.